Are you still thinking about the one who got away? Is there someone from your past you can't seem to get off your mind? When a former significant other makes a significant impact on your life, it's not uncommon to want to recapture what you once had together. But how do you rekindle a romance with someone? Fortunately, there are five key tips that can help you reignite the feelings and passion between you and an old flame. If you'd like to rekindle an old flame, the first step is to make sure that you're truly dedicated to starting something up with this person again. In many instances, rekindling an old flame can stir up feelings and emotions that you may not have felt since the two of you were once together, both good and bad. And if your goal is to recreate what you once had, this means you have to make sure it's what you really want before leaping into a new (and hopefully improved) relationship. However, if there were dealbreakers and red flags that caused the two of you to split in the first place, you have to make your peace with these issues before jumping into something again with him or her. As long as you're on board and excited about what you're getting into, then rekindling your relationship will be far more successful. When you're looking to rekindle an old flame, it's also important that you leave the past in the past. For example, if your relationship ended due to infidelity, you have to be able to let go of whatever emotions and pain this caused you before starting up a relationship with him or her again. Being able to forgive your past partner is an important step in the rekindling process, and if you want your new relationship to have a chance at turning into something meaningful and long-lasting, then forgiving him or her and accepting his or her flaws are essential parts of the process. With this in mind, if you're trying to stir up an old romance with the one who got away, apologizing can also help the two of you grow closer and help to create a stronger bond between you both. If you wronged your partner, made mistakes, or took him or her for granted, then taking responsibility and showing remorse for your actions are key to getting back together the right way. However, it's not only apologizing with your words, but showing growth and change through your actions as well. 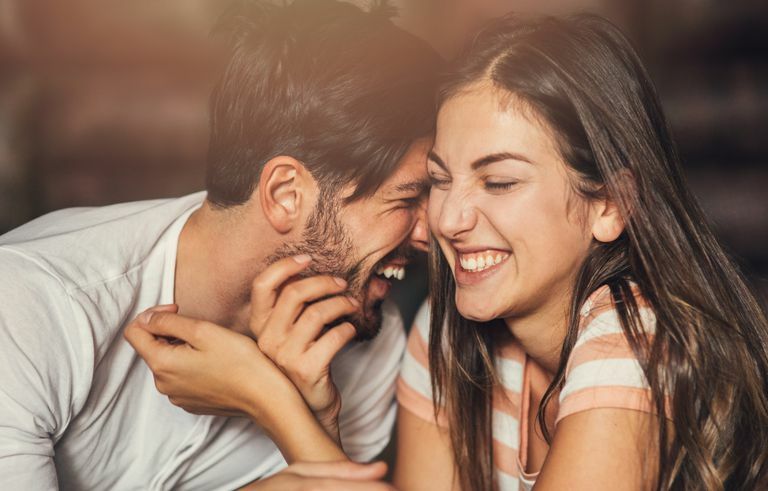 When you can demonstrate to your partner that you've come a long way and want to be the best boyfriend or girlfriend you can be, you're more likely to rekindle the relationship you both want and deserve. If your goal is to rekindle an old flame, another fun step is to revisit as a couple some of the sites, destinations, and even restaurants that were meaningful to you in your previous relationship with one another. This can be a fun and significant way to stir up those old feelings of passion and intrigue. And by going back and spending time at these different locales and partaking in couples activities that you used to enjoy together, you're bringing back that spark and magic that once helped the heat burn between the two of you. One of the biggest pitfalls for those looking to rekindle an old flame is that they try to pick up where they left off. And though this may seem logical, it's imperative that you look at your relationship with a fresh point of view. While the two of you may know each other well and have already had deep and meaningful experiences together, you should still treat this as a new relationship and bring back the romance and excitement that are present at the start of a budding connection. By practicing random acts of kindness, keeping your partner on his or her toes, and pumping up the romance, your relationship will feel fresh and exciting rather than old and stale.